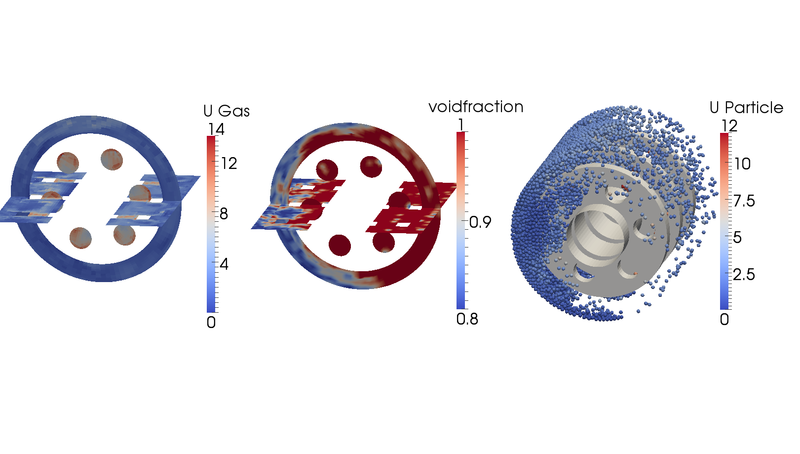 The examples below illustrate some of the capabilities and the applicability of CFDEM®coupling for unresolved CFD-DEM with rotating geometries. 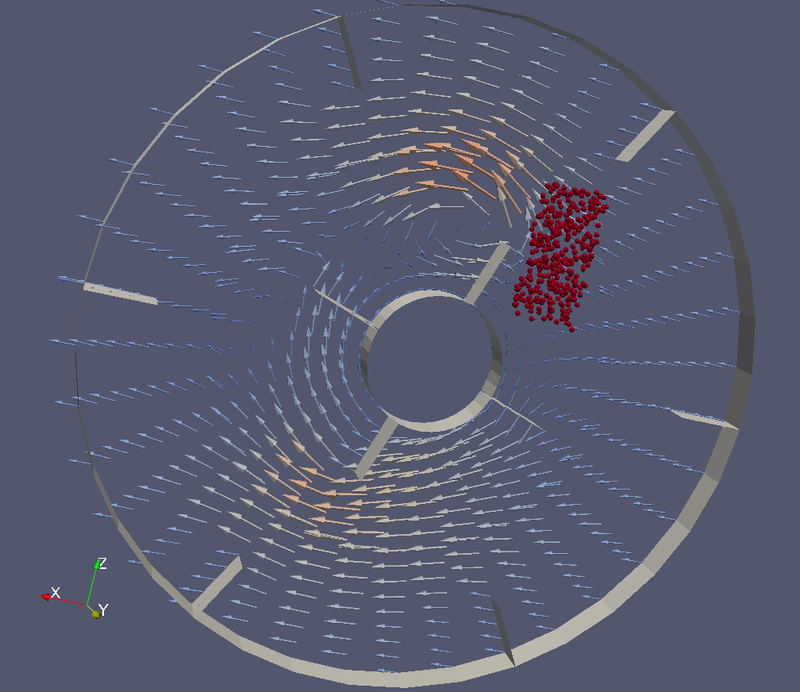 Rotating geometry on DEM and CFD side. The latter is realised with GGI interface between moving and static mesh parts, so also non-rotational symmetry parts can be handled accurately.